New paper from LSRG National Margins Audit published! 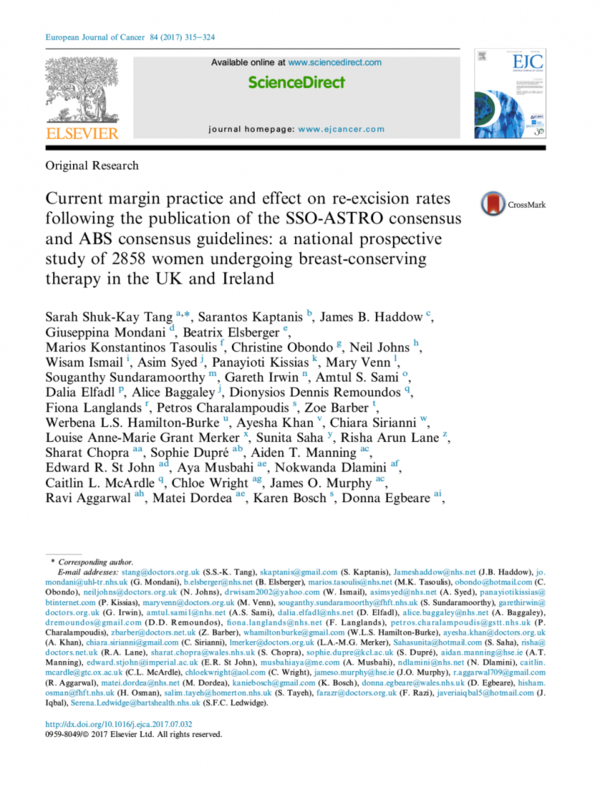 Congratulations to all the co-authors on this major national prospective study on current margin practice in 2858 women undergoing breast-conserving therapy in the UK and Ireland. It showed a wide variation in practice. If a uniform national margin policy were adopted, our figures show that this would result in a reduction in the number of women needing revision surgery. The results are now published in the European Journal of Cancer – a high quality journal with an impact factor of 6.0. Home » Announcements » New paper from LSRG National Margins Audit published!